This seat is made from mild steel which has developed a unique rust patina. The seat is made from sustainable Australian hardwood. The seat is 1200mm wide and 900mm high. 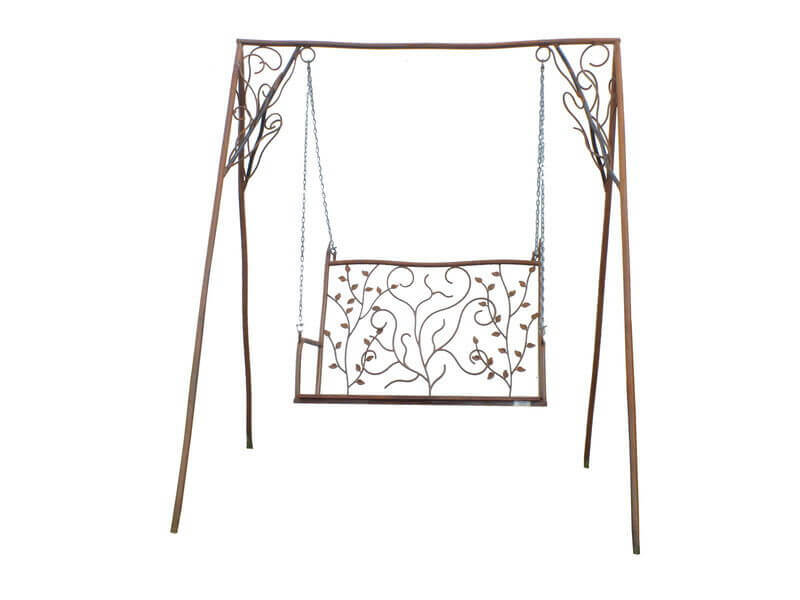 The swing structure is 2100 wide and 2400mm high.